Our Graduates - Where Are They Now? Joan “Rosi” Rosebush, senior lecturer and director of student success in the Department of Mathematics and Statistics, is the inaugural winner of the University of Vermont’s new Outstanding Faculty Advising Award. 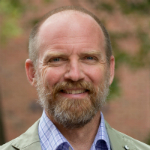 A University of Vermont mathematician, Greg Warrington, has developed a new tool to help ferret out gerrymandered districts. UVM's STEM Complex is an interdisciplinary hub for advanced research and scholarship. A press conference and reception held on June 28 at the University of Vermont Davis Center brought together dozens of students, family members, math lovers and UVM faculty as the Governor’s Institutes of Vermont received an historic endowment that will fund math acceleration for future generations of Vermont students. Our students and our faculty understand the unique challenges and satisfactions that the careful study of mathematics and statistics offers. Mathematical ideas and results not only represent some of the highest accomplishments of human society, but also are an indispensable tool in an ever-increasing array of disciplines. 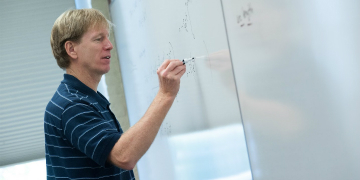 The Department of Mathematics and Statistics has a long and proud tradition of excellence in teaching undergraduate students as well as an international reputation for world-class research and mentoring graduate students to a Master's degree or a PhD degree. Read More. 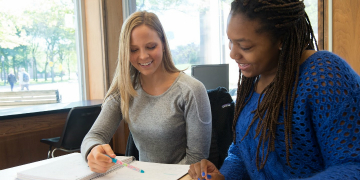 There are several resources available for extra help with mathematics and statistics courses in addition to your instructor's office hours. Help Sessions and TA Office Hours are free. Math Club was created to foster a community of people who are interested in math and math related fields through fun activities and interesting lectures relating to math. Our faculty make their skills available outside the University in many ways. 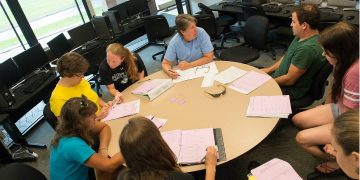 Faculty are actively involved in outreach activities such as The Vermont Mathematics Initiative (VMI). Starting Math at UVM and need help with Mathematica? 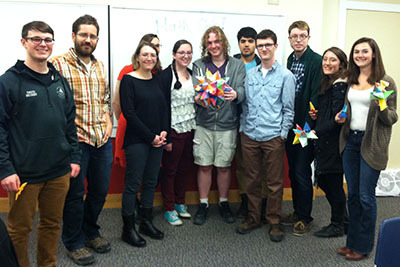 Mathematica software is available to all UVM students, faculty, and staff under UVM's site license.